New Delhi: The Delhi Police on Thursday received more than 4,000 calls of quarrel-related cases on the occasion of Holi and issued over 13,000 challans for violation of traffic rules, including drunk driving. Around 2,440 calls were made related to hooliganism in Holi (like the use of colour against his/ her will or quarrel incidents), police said. As many as 13,219 challans were issued for traffic violations, including 431 for interception and 1591 for drunken driving, the Delhi Police said. The police received around 4,026 calls related to quarrel-related incidents. 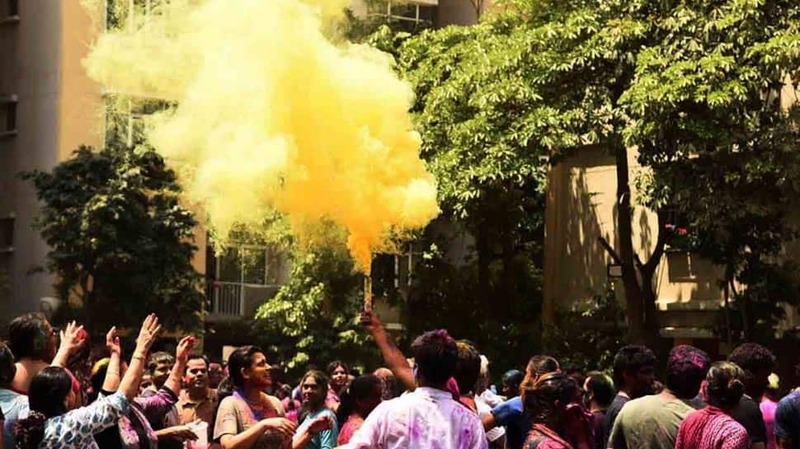 The Delhi Police had said that special checking teams with alcometers were deployed at major intersections and vulnerable points to detect and prosecute traffic violations during Holi celebrations. “Delhi Traffic Police appeal to all motorists to avoid traffic violations, especially drunken driving. Parents should not allow their minors to drive vehicles. All motorists are advised to obey traffic rules and regulations and follow the directions of the traffic policemen on duty for their safety as well as the safety of other road users,” a statement had said. Meanwhile, Mumbai Police said that 9,191 challans were issued on the occasion of Holi for violation of traffic rules. This includes 461 challans for drunken driving, 162 for rash driving, 345 for overspeeding, 680 for tripling, 4,595 for riding without a helmet, and 2,948 for other miscellaneous offences, the Mumbai Police said.